It will go far beyond just research. If all goes as planned, the world’s first commercial space station should become a manufacturing hub within a few years of reaching orbit. 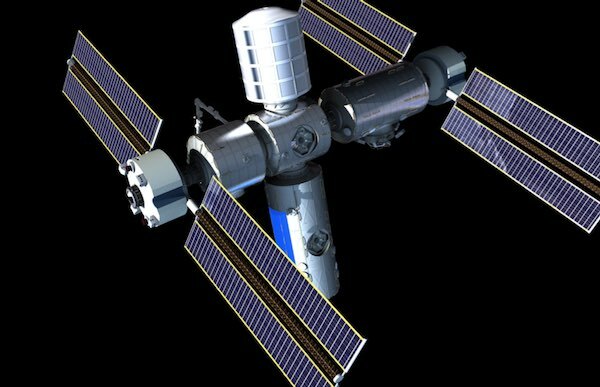 Axiom Space plans to launch the first pieces of its station in 2020, on the eve of the retirement of the International Space Station (ISS). However, the company sees its space station as more than a manufacturing center, they believe that it will also serve as a research and tourism base. Still, according to comments from Axiom Space’s vice president of strategic development, Amir Blachman, to Space.com, manufacturing will be the primary source of revenue for the space station. Blachman mentioned that the company will also use sponsorships and advertising to make money. Through 2024, Axiom will launch several additional pieces, including propulsion and power modules, as it continues to, if all goes according to plan, host tourist and astronaut visitors. The ISS is slated to retire by 2024, although its life may be extended through 2028. When it does eventually retire, the Axiom station will separate from ISS and start to roam in low Earth orbit freely. At that point, the Axiom station might be the only option for researchers who need to conduct work in space, and Axiom plans to make the station available to all who need it. According to Blachman, notable advances in technologies like 3D printing will enable Axiom to generate manufacturing revenue quickly. The company plans and hopes to function as a base of production for a range of well-paid, large-scale jobs within the next ten years. Now, not everything created on the station will return to Earth. Some customers will manufacture small satellites and then deploy them directly from the station at a fraction of the cost that launching spacecraft from Earth demands, according to Blachman. Costs of manufacturing in and for space have been dropping steadily; the Axiom station will be created for one-tenth the cost of the ISS. The result will hopefully be a microgravity environment uniquely suited for the industrial production of extremely pure materials and objects made with them — all at a cost any country or company could potentially, reasonably afford.